Is that an orchid in your pocket? I stopped by Whole Foods on the way home and found that they had a whole bunch of ultra-miniature phalaenopsis orchids all vying for attention. Now these things were tiny. They were in 2.5″ pots and you could have five of them easily fit in the footprint of a standard phal. Needless to say I had to have one, and since my bag was full of groceries I stuck the tiny tot in my coat pocket and hurtled home on my bike so my latest orchid adoptee would not get too cold. We made it home intact and Phal. Timothy Christopher ‘M-P0764’ is now happily ensconced among my other plants. Now this is a cross of Cassandra X amabilis, so it has equestris in the background which brings down the flower size. Other species in the background, stuartiana and amabilis should result in lots of blooms on branched spikes. In essence, these look like a miniature amabilis. However do note: these Lilliputian marbles will grow up. Ideally, you could have a specimen size plant covered with loads of lowers in a 4″ pot. its a testament to phalaenopsis breeders that you can have a hybrid that flowers so vigorously when still quite small. With all the snow we’ve been having, I thought i would post a photo of Phalaenopsis amabilis, an orchid species from Southeast Asia that is in bloom now! 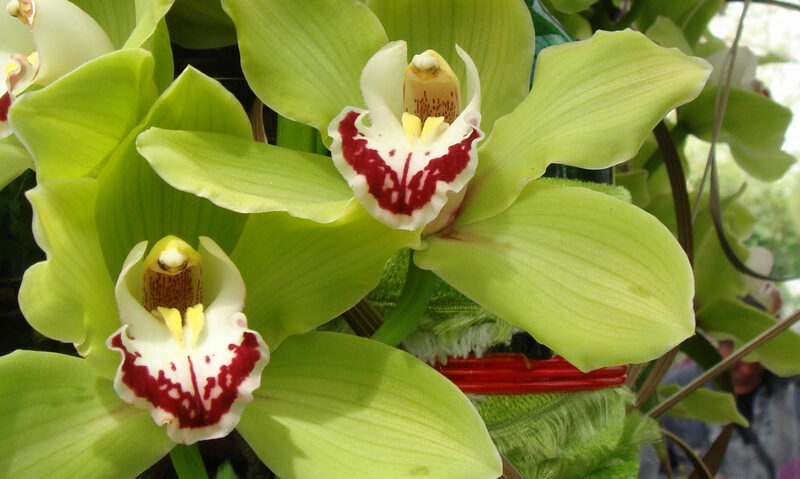 It has pristine snowy white flowers, and has been used to breed the standard large flowered white phalaenopsis orchids that have become so ubiquitous. Nevertheless, there is something charming about this species, with its small delicate flowers that are produced in great abundance. This compact plant is grown and bloomed as a houseplant on a windowsill, not in a greenhouse! Learn more about growing Phalaenopsis amabilis. I’ve posted a larger photo below!